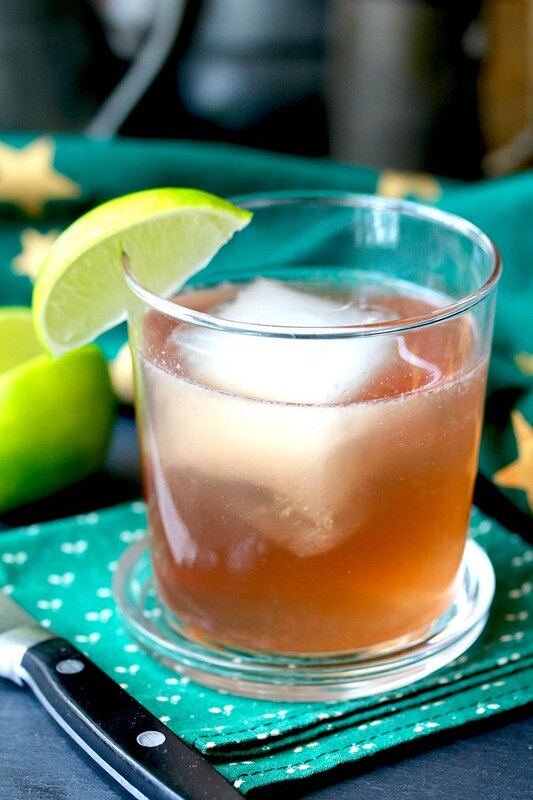 The El Diablo Cocktail, made with tequila, crème de cassis, lime, and ginger beer, is an easy and refreshing way to enjoy cocktail hour on a hot summer day. 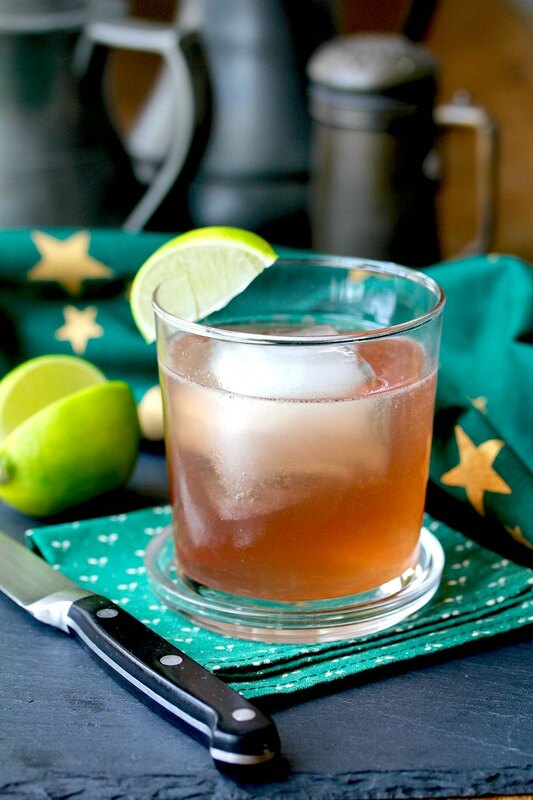 You can control the strength of the el diablo cocktail by adding more or less of the ginger beer (or good ginger ale if you prefer), depending on the weather and how thirsty your guests are. You can use blanco or reposado tequila for the el diablo, depending on your taste and what you have on hand. Crème de cassis is a French liqueur made from blackcurrants, and is most often served in kir, an aperitif made with white wine, and kir royale, a celebration cocktail made with champagne. I'm not sure how crème de cassis got paired with tequila, but the results are pretty tasty. This week the Kitchen Matrix Cooking Project is all about cocktails. Camilla, Wendy, and I are choosing from Cocktails +12 Ways from Mark Bittman's Kitchen Matrix. 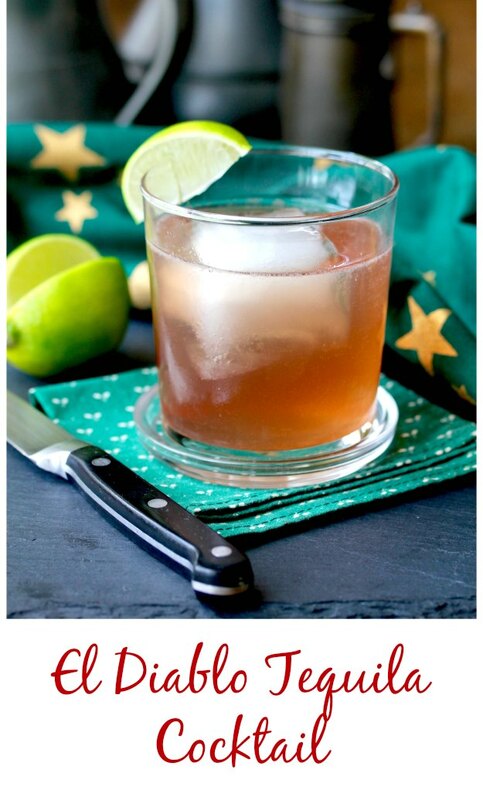 In the book, Mark Bittman offers three classic cocktails each for gin, vodka, tequila, and bourbon. He also offers suggestions for how to stock your home bar for any cocktail hour guests. After the recipe, be sure to check out the links from A Day in the Life on the Farm and Culinary Adventures with Camilla. They are always so creative and innovative with these ingredients. Fill a shaker with ice, add the tequila, crème de cassis, and lime juice, and shake. Strain the ingredients into an ice filled highball or double old-fashioned glass, top with the ginger beer, and serve. Sounds like a great memory. Definitely try it with the crème de cassis!